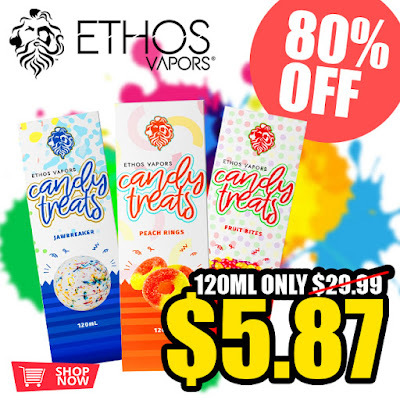 Fuggin Vapor is doing a 120ml deal on the Ethos Vapors Candy Treats line. You will get a 120ml of juice for $5.87. I don't see a limit on how many you can buy so load up!